An Enterprise Resource Planning (ERP) system is a series of software applications or modules that collects data from your sales, purchasing, finance, inventory, supply chain, manufacturing and quality functions into a common database so that your company can share the information, coordinate activities and collaborate. If you’re looking for your first ERP system or looking to upgrade from an existing system, the evaluation, selection and implementation process is a long-term strategic decision for your organization. 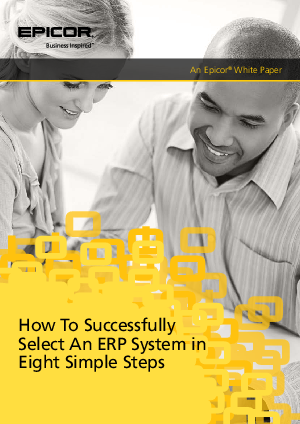 To help you through this process, we’ve provided eight simple steps for a successful ERP system selection.